The last decade has witnessed tremendous progress in the construction of a unified theory of the forces of nature, e.g. 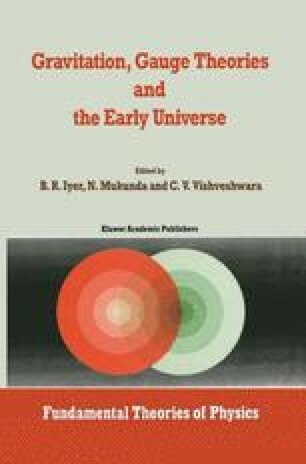 the electroweak and grand unified theories. The odd interaction out is gravity which, to date, resists quantization, though hope-eternal appears in theories of supergravity, Kaluza-Klein and, more recently, superstrings.